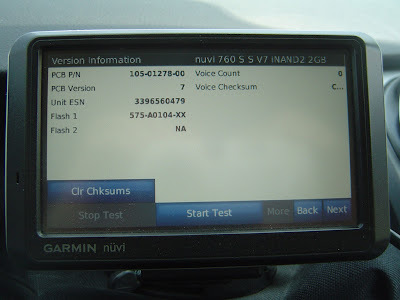 I've learned of a couple hidden features in my Garmin Nuvi 760. I don't know if they also work in other models. I learned of these accidentally when googling for other info. Please let me know of any other easter eggs that work for Garmins. 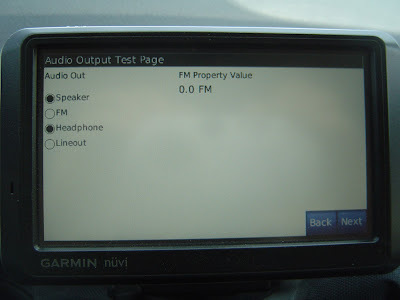 Press and hold the upper left corner of the display (the GPS signal strength meter). I like this one and sometimes keep it up while driving. 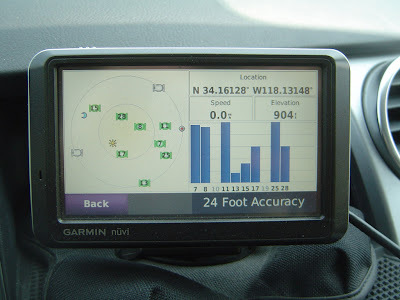 It shows a sky map of the GPS satellites in view, as well as the current speed and latitude, longitude and elevation. 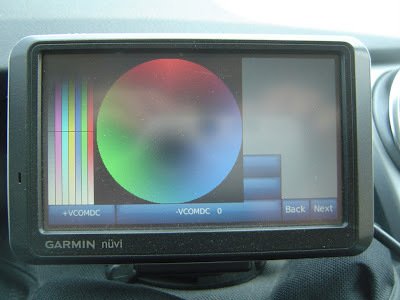 It also shows the current estimated GPS accuracy. 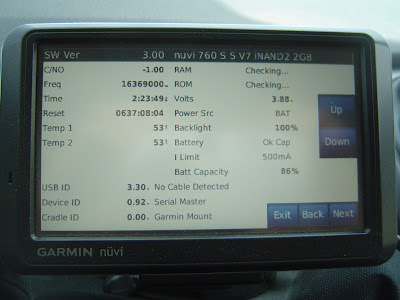 While running on batteries: press and hold the battery indicator at the top of the display. Hold it until the display appears - this can take 10 seconds. 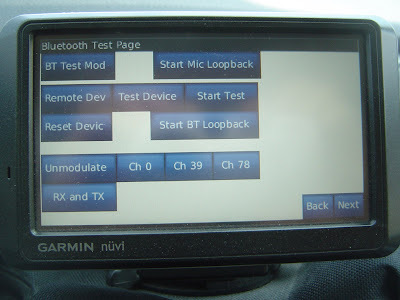 This is the first of several pages that show all sorts of system configuration settings. While aadvancing through the screens (using the "next" button in the lower right corner), when the screen goes totally one color, continue to tap where the "next" button has been and it will continue to the next color. 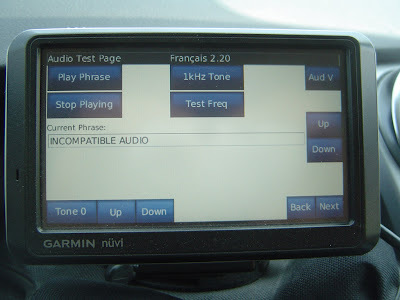 This next one even shows that I have mine set to use French for the navigation language. 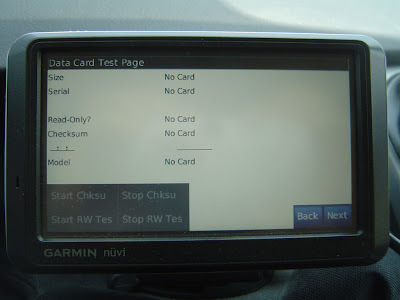 I double-checked my manual, and it did not mention these displays. 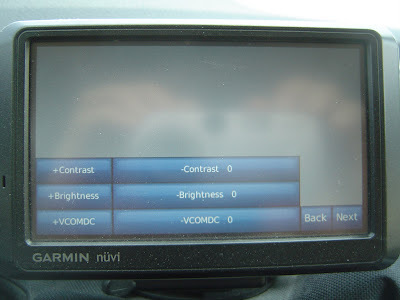 1) Turn the Nuvi off. 2) Put one finger on the screen and hold it there through the next couple of steps. 3) Turn the Nuvi on with the slider and immediately put it into the lock position. 4) Keep holding that finger on the screen for about 20 seconds or so. The tricky part is turning it on and immediately sliding it into lock before it really started to boot.